Toronto, ON – Dapasoft Inc. announced today that Rajie Ragbeer, an independent consultant with significant healthcare industry experience and Guru Venkataraman, previously at Microsoft, have joined the company to further develop Dapasoft’s Azure cloud based Healthcare integration solution. With 17 years of experience, Rajie Ragbeer comes with a wealth of information within the industry, including enterprise level EHR projects and corporate I.T. healthcare solutions. He is a key figure in the development and implementation of regional and enterprise level Standards-based interoperability solutions. Rajie also provides HL7 education and EHR implementation guidance to a national audience. “I am very enthusiastic and thrilled to join Dapasoft and to be working with a team with a very high level of integrity and a passion for making healthcare better through technology and integration,” says Rajie. Guru has an extensive industry experience in building enterprise grade integration engines. He brings in extensive engineering expertise, including experience managing BizTalk Server at Microsoft. He has been the face of BizTalk development at Microsoft and managed the past 4 releases of the Server product. He also played an active role as Microsoft BizTalk morphed into a collection of cloud services. Joining in advance of the launch of Dapasoft’s new solution, Rajie and Guru can continue their success and ensure that the new cloud-based solution is effectively positioned to become the leading Healthcare cloud-based integration solution. “Rajie and Guru’s breadth of knowledge and industry expertise has made the both of them key additions to the Dapasoft family. 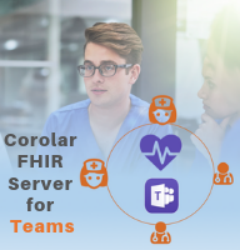 We view their appointment as a sign of our commitment to being the leader in healthcare cloud integration and expanding our cloud offerings to the U.S. market. Our new innovations and the increasing need from our customers led us to look for additions to our team and we were very fortunate that we were able to find individuals of this caliber to fulfill these roles,” said Michael Lonsway, President. As healthcare organizations look to the cloud for new integration solutions, Dapasoft is armed with a dedicated team, industry experience, and a mission to erase the boundaries of healthcare interoperability. 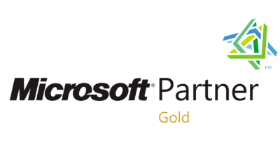 Established in 1997 and based in Toronto, Dapasoft, a Microsoft Gold Certified Partner, implements off-the-shelf solutions, delivers custom software products, and provides system integration services to clients in a number of verticals. Through the development of a number of award-winning healthcare solutions, we have earned a reputation as an international leader in healthcare integration and application development.